Here at WOW Scotland we love a good old fashioned love story – especially if we can play a little part in making the magic happen! Since it is Valentine’s Day, we wanted to share this story from the early days of WOW and it is a story that we remember fondly! When I picked up Xiaoting (prounced a bit like ‘ Shou – ting’ which greatly amused Neil the scallop fisherman!) I’m sure she expected to have a great time, but I’m sure she didn’t expect that it would be a day that would change her life forever! Things got off to a great start when we went on a fishing trip with Neil from Stromeferry, where we got to taste some freshly caught scallops. 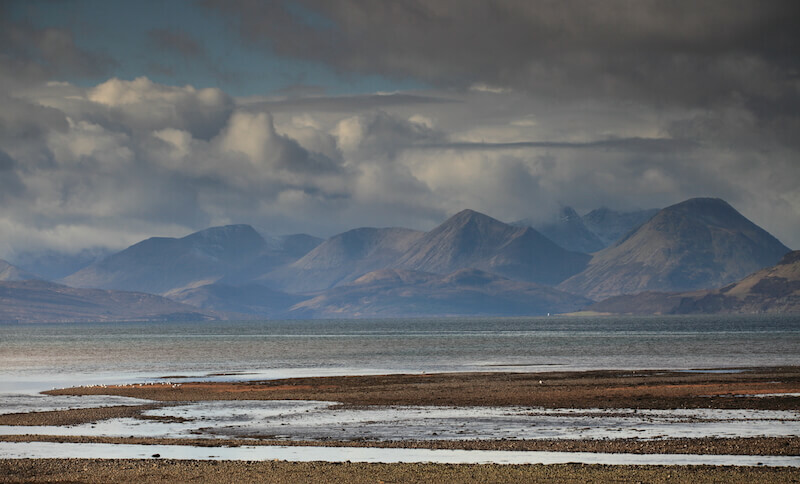 As greek legend has it, the goddess of love, Aphrodite, was carried to earth on the shell of a scallop so perhaps she worked her charm and let love blossom that day in the North West Highlands?! Next stop was the award winning Kishorn Seafood bar for some refreshments, before heading to Applecross and exploring it’s wonderful beaches and coastline. Our last stop of the day was the charming lochside village of Shieldaig, where we bought some Loch Torridon smoked salmon (delicious!). Truly a day out to remember! At the end of the tour I dropped Xiaoting at the Ledgowan Lodge. From there she would catch a train to Kyle of Lochalsh, tour Skye, and then travel back to Edinburgh the following day via the ferry and the train (quite a journey but a scenic one that you can do with us if you book onto our Isle of Skye day tour from Inverness!). ‘I LOVED the hot smoked salmon! Wish I had bought more. . I definitely have to come back again’. The happy couple got married in Gretna Green in the South of Scotland. Gretna Green is a famous place for couples to elope and it is one of the most popular wedding venues in the world, with over 5000 weddings held there every year. That’s not bad for a village with a population of just 2700! So if you have been thinking of taking a solo trip to Scotland but haven’t yet taken the plunge, hopefully this will inspire you to dive right in. Our Isle of Skye tour, Whisky Bus and Highland and Speyside Explorer are all perfect for solo travellers. If your idea of ‘the one’ is someone who is a huge Outlander fan, why not check out our Outlander inspired walking tour of Inverness. You might find true love in the Highlands. We wish the happy couple all the best and hope they will have many happy years together.